NEW YORK -- Aaron Judge keeps the only piece of motivation he needs on his phone. It's right there on his notes app, always atop the list for quick access. He looks at it every day and said he's done so for months, letting it serve as the perfect provider of perspective. 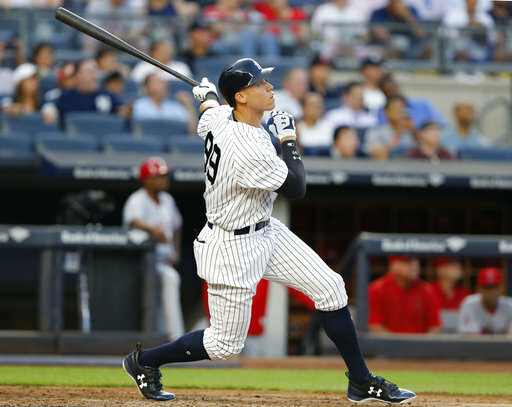 The message: .179 - a nod to what he hit last season in his debut with the New York Yankees. That seems unfathomable now. 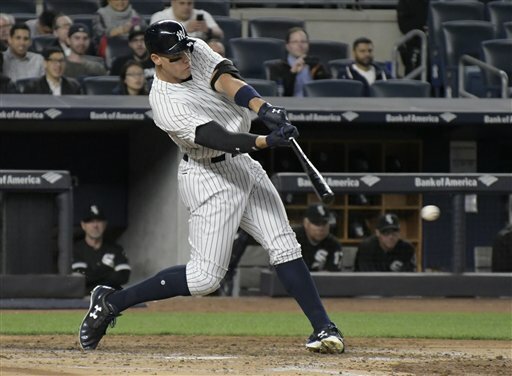 The Yankees star leads the majors with 30 home runs, is a serious Triple Crown contender in the AL with a .329 average and 66 RBIs so far, and the massive guy who wasn't even a lock to make the big-league club out of spring training is set for his All-Star debut on Tuesday night at Marlins Park. 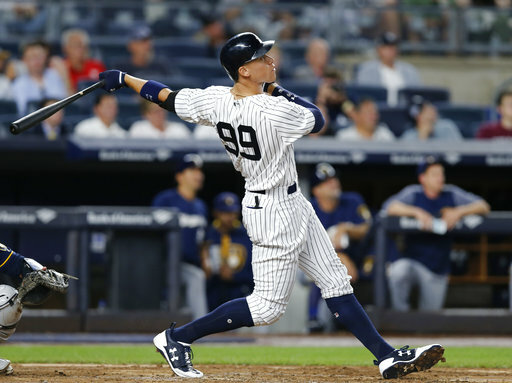 "It's motivation to tell you don't take anything for granted," Judge said, as he sat on the warning track on Monday and explained why he keeps the reminder of 2016's struggles with him at all times. "This game will humble you in a heartbeat. So I just try to keep going out there and play my best game every day, because I could hit .179 in a couple weeks." 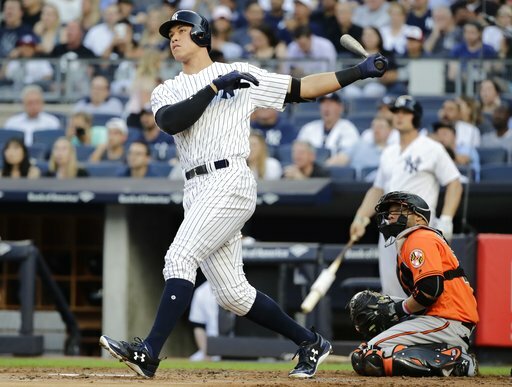 Judge has set himself up to be the undisputed face of this All-Star soiree in Miami after winning the Home Run Derby on Monday night. He could have hit one out of Marlins Park - yes, OUT of the building - in batting practice. Alas, the ball stayed in only because it struck the steel retractable roof. 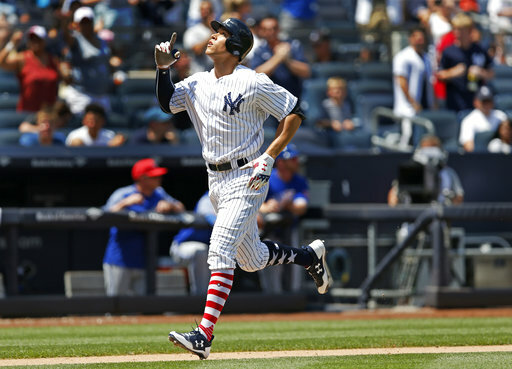 "He's unreal," Yankees teammate Gary Sanchez said. 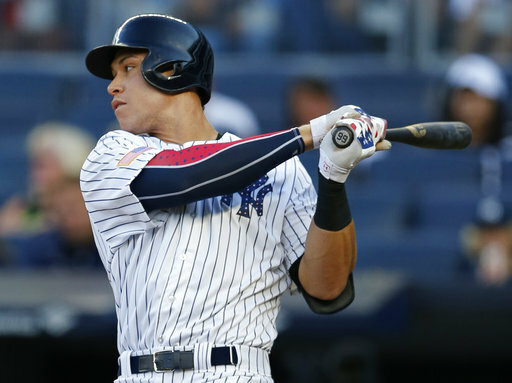 Judge will bat third for the AL on Tuesday, meaning his first trip to the plate will come in the top of the first against NL starter Max Scherzer. And Scherzer sounds eager to check out the phenom. "I've seen it from afar, the year he's had so far," said Scherzer, the Washington Nationals' ace. "Obviously been the best hitter there in the American League. I think they will all agree with that. I enjoy facing the best. It's what you look for. I mean, you get a chance to obviously be in the All-Star Game to face the best hitter in the game, potentially, that's what you look for. So it will be fun." 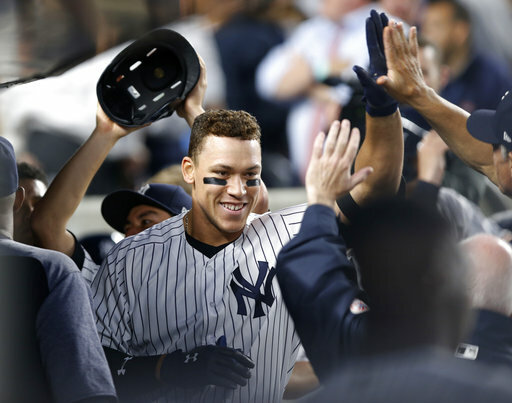 A year ago, Judge was still a month away from his big-league debut. 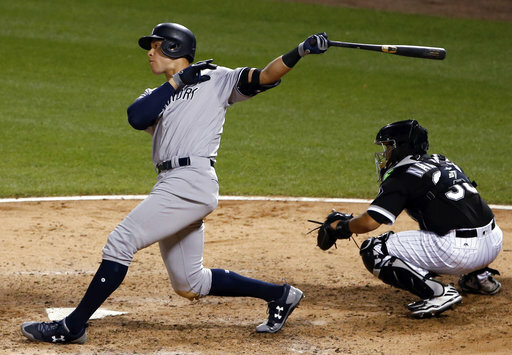 He homered in his first two games with the Yankees, and ended up with seven hits in his opening five games. He was an instant smash. That is, until he wasn't. Those seven hits in five games were followed by eight hits - total - in his remaining 22 games. He finished with nearly three times as many strikeouts (42) as hits (15). He simply didn't look ready. Look at him now: All-Star, likely rookie of the year, and maybe the MVP. "I'm excited to meet him," Miami slugger and fellow Home Run Derby participant Giancarlo Stanton said. "I hope he gets as many questions about me as I do about him." At 6-foot-7 and 282 pounds, Judge is roughly the same build (a bit taller, a few pounds lighter) as J.J. Watt of the Houston Texans. There's no other outfielder in the big leagues right now listed anywhere close to his weight. And of the 19 players who appeared in the final NBA game of the season - Golden State's title-clincher over Cleveland - only six are taller than Judge. He's not just big, either. The man can move. 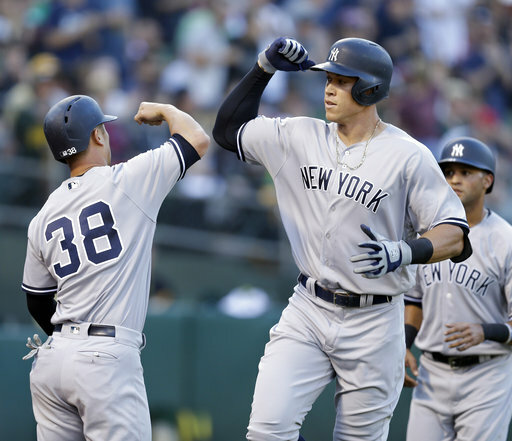 "I'm jealous," said San Francisco catcher Buster Posey, who at 6-foot-1 and 215 pounds looks boyish next to Judge. "I was thinking about that the other day. I was watching their game and saw him moving around in right field and was thinking to myself how impressive that is. And I'm wondering if he can sustain that for a long period of time. ... It's pretty incredible how athletic he is." 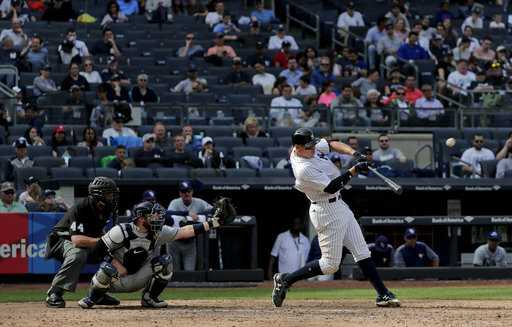 He's already set the Yankees record for home runs by a rookie, topping a guy named Joe DiMaggio. His batting average is better than what Derek Jeter's was when he won Rookie of the Year in 1996. 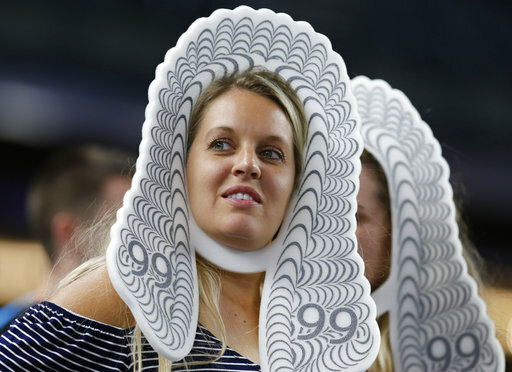 Lou Gehrig had 68 RBIs as a rookie; Judge is only two shy of being there. Different eras, different circumstances, of course. But when a name is listed alongside DiMaggio, Jeter and Gehrig already, something special is quite likely happening. AL manager Brad Mills - filling in for Cleveland skipper Terry Francona - chose to pay tribute to Judge by batting him third. 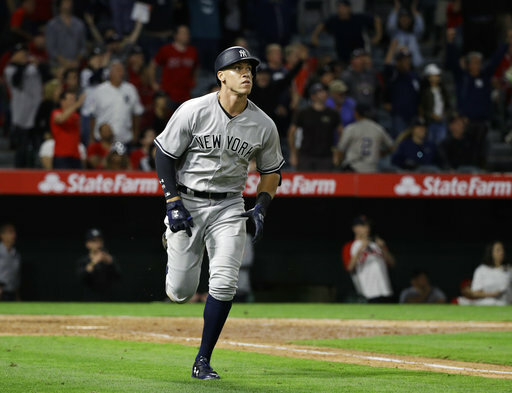 "One of the best stories in Major League Baseball I think so far in the first half, Aaron Judge," Mills said. 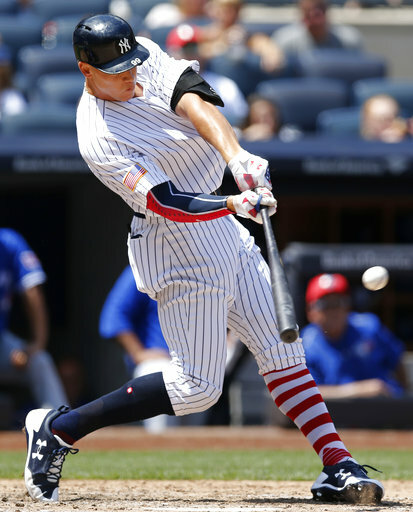 Judge watched the All-Star Game last year on television; he was with the Yankees' Triple-A affiliate in Scranton-Wilkes Barre at the time. If he keeps this up, he might not see another All-Star extravaganza on TV again anytime soon. "Can't really describe it, to be honest," Judge said. "I still don't believe it. It's pretty incredible. It's every kid's dream and I'm getting a chance to live it right now."